Three Stack are Ben and Russell, two university graduates from Brighton with a passion for selling good quality pancakes! Graduating with degrees in Information Systems & History, starting our own pop-up pancake business makes sense right? 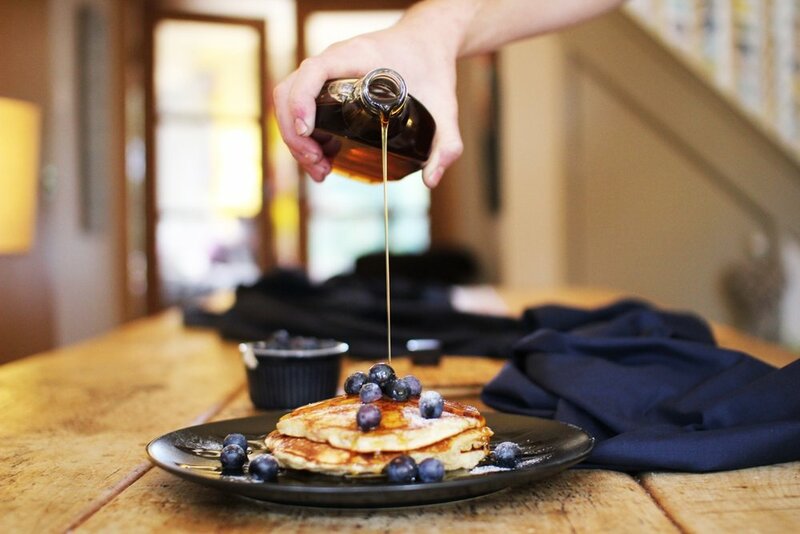 It all began in a little cafe in Amsterdam (no not that kind), where we were blown away by the combination of delicious American pancakes, artisan coffee and top quality service. It got us dreaming about what we could do back in our hometown. We both loved the idea of selling top quality pancakes and coffee that was our own, to people we love! Dreams became reality and we thought why not? We put our thoughts on the drawing board and started to vision what we wanted Three Stack to become. We decided that buying some griddles and a gazebo was a great place to start! As our journey continues, we hope you will follow us as we serve delicious pancakes to the public and at private events, spreading pancake love wherever we go !